What Does The Best Bond Cleaning In Nundah Cover? Finding and selecting reliable house cleaning in Nundah is not easy. The most common questions we get asked by people like yourself have been collated below to assist you in making a smart decision. 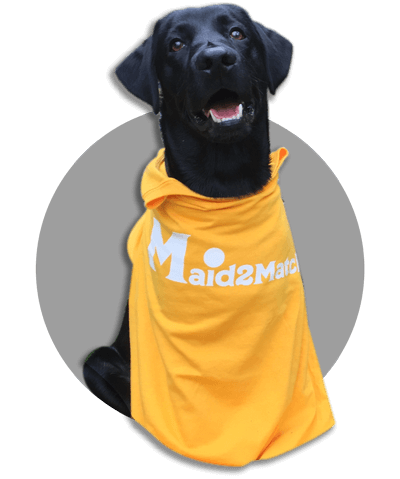 WHY ARE MAID2MATCH NUNDAH’S BEST AT VACATE CLEANING? The truth is great bond cleaners possess a different skill set than regular house cleaners and therefore requires specific experience, dedication, and a first-class cleaning checklist. At Maid2Match, we personally vet all our cleaners, after having them complete a three-part application form. We provide extensive support and have crafted the most effective bond cleaning checklist you’ll find. Don’t take any chances, contact us for the best vacate cleaning service. Nundah was originally called German Station and is set 8 kilometers away from the Brisbane central business district, with CBD to its south-west. Before being settled by the Europeans, the Turrbul tribe used to leave there. They gave the area the current name, which stands for “chain of water holes”. And you can admire this water holes yourself if you go to Kedron Brook or to the eastern marshlands. Now, Nundah is a residential area that sits astride Sandgate Road, one of Brisbane’s main roads. Originally a rural area until the railway was built at the end of the 19th century; Nundah was a suburb for the working class. Today, you can see these old worker’s cottages in Nundah, right alongside packed apartment buildings. But if you want more nature walks, Nundah has plenty of gorgeous parks, like Nundah Memorial Park and the Albert Bishop Park. You can visit the Centro Shopping Centre nearby if you want some urban entertainment, as well as the Toombul District Cricket Club, with its family-friendly atmosphere and varied facilities. There are also some heritage-listed sites, like Nundah Cemetery on 88 Hedley Avenue, the First Free Settlers Monument on Sandgate Road, or Nundah Air Raid Shelter or Sandgate Road.